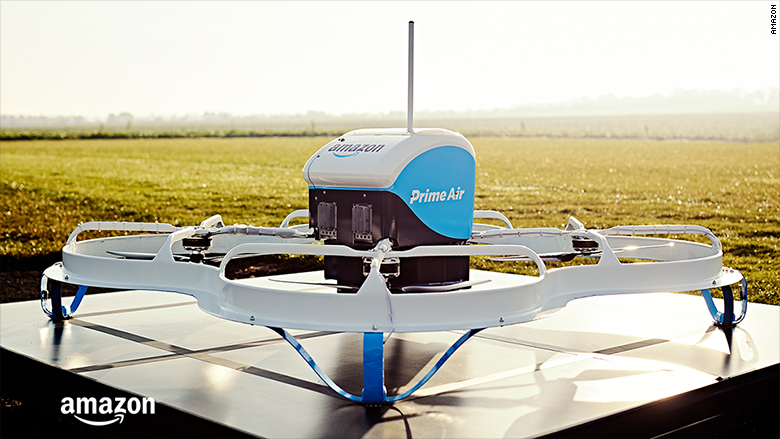 Amazon may one day use blimps stocked with drones to get packages to customers even faster. 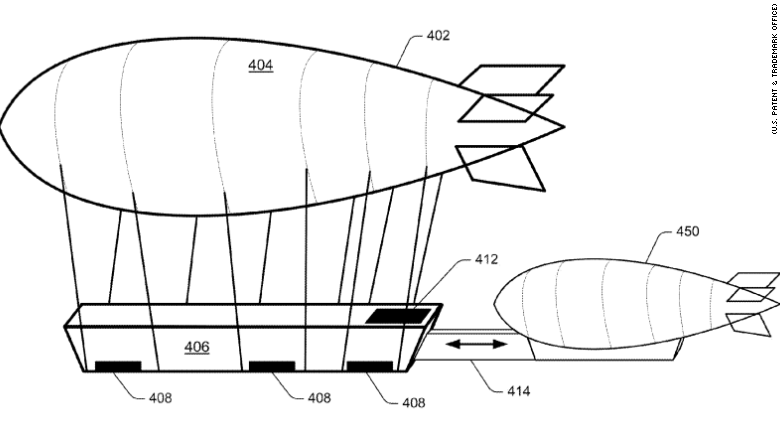 The patent describes how Amazon (AMZN) blimps would circle over cities at 45,000 feet and launch drones carrying orders. 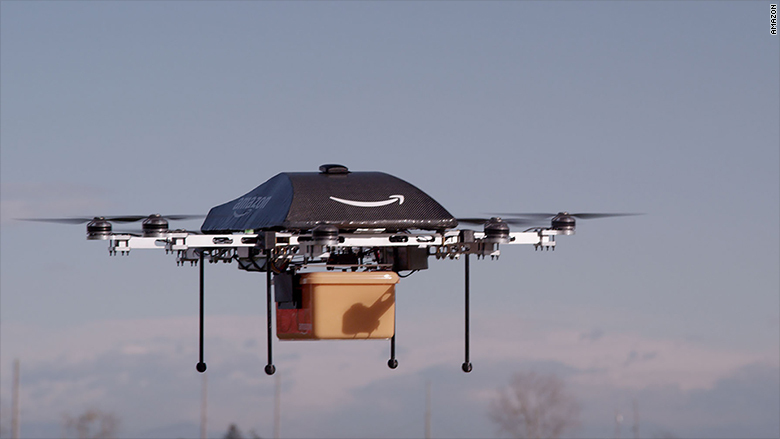 The drones would initially fall to earth relying largely on gravity, and their motors would fire up for the final stretch. 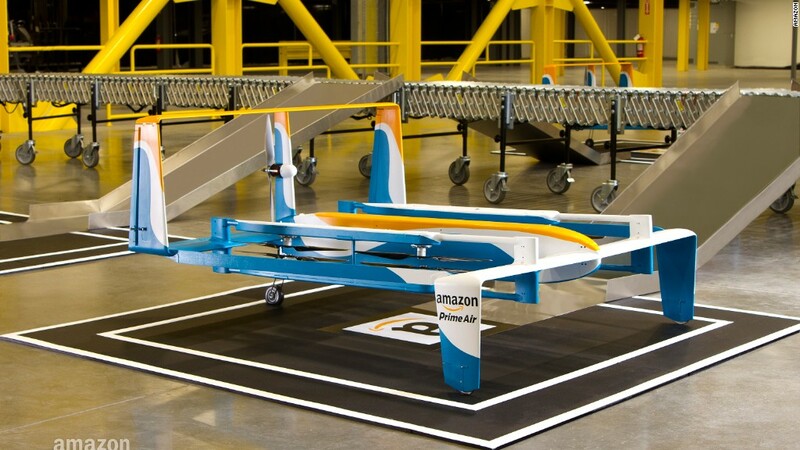 An illustration from Amazon's patent shows how the system may work.